Paweł Kowal is a postdoctoral fellow at the Chair of European History and Civilization at College of Europe (Natolin) where he co-leads, together with prof. Georges Mink, the Three Ukrainian Revolutions project. 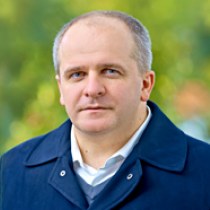 He is also assistant professor in the Institute of Political Studies at the Polish Academy of Sciences. In the past he co-founded the Museum of the Warsaw Rising in Warsaw and between 2009 and 2014 served as a member of the European Parliament, Chairman of UE delegation to EU-Ukraine Parliamentary Commission and of Foreign Affairs Committee. Dr Kowal recently published Wojciech Jaruzelski's biography and is preparing an edition of archival documents on Polish view of the fall of the USSR as well as on monograph on the role of the oligarchy in Ukraine.